Fans, the music itself, blogs, record labels, other artists, producers, DJ’s, photographers; none of them are waiting. In 2011 success is all about going and getting it. It might take a while to reach, but it sure won’t be sitting idle waiting for those that lack determination. 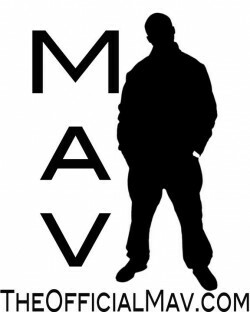 Chicago emcee, The Official Mav (aka Maserati Mav, Mav Matics, M.A.V.) doesn’t fall short in that burning desire to be great…in anything he commits to. Growing up in the city’s ABLA housing projects on the Near West Side and later moving to the South Side, Mav always had a tendency to entice trouble on the streets, but was a committed student and frequent rapper. Hitting the books led to an opportunity to further his education and he took advantage, attending the University of Illinois from 2002 to 2006. Upon graduation, however, Mav wasn’t thrilled with the progress his talents behind the mic had made. Chitown love struck Mav in the biggest way in 2008 when Twista recruited him for his compilation tape, Whose Got Next. On “Dirty Fresh”, he caught the attention of the Midwest community and larger publications including HipHopDX. The buzz grew to Twista then hosting his I Got Next 2 Mixtape, building a production/management company, Gladiator Village Entertainment, and now his most recent project, Spirit Killers. The tape takes off with “Catch My Breath”, a bass-heavy thrill ride with high-pitched synths to match smooth lyricism. The track has also received praise from WGCI’s “Download or Delete” segment receiving a 100% Download Rating. Other highlights include “Nothing Changed”, Mav’s declaration that after everything he’s been through, he’s never forgotten where he’s come from; a common positive theme amongst Chicago artists. “Put ‘Em Up” gives the listener an “anthem feel” that personally I’d like to hear live to go along with how it sounds in the car. “Be Hopeful” expresses the emotions of Mav losing his sister to cancer, a disease that we all can relate to. The video has blasted the internet, surpassing 33,000 views already. Real definitely recognize real with those numbers. The future is bright for The Official Mav after his graduation to Spirit Killers. His relentless nature affects his music, business, and family. For that, his credibility cannot be challenged. Thanks Mav. Stay competitive, stay hungry, and stay humble. After listening to your story and music, I surely will. Check out the video for “Be Hopeful” below! 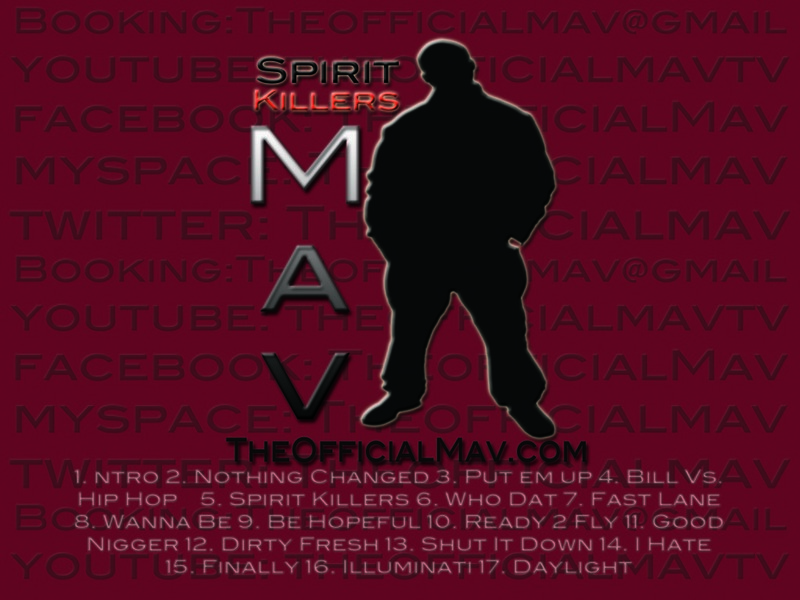 Follow Mav on YOUTUBE, FACEBOOK and TWITTER! Very talented!!!!!!! I listen to your cd almost everyday and in my heart, I know yo time is coming!!! YOU GOT NEXT!!!!! He took the words right out of my mouth! Mav, you are a true force to be reckoned with, and I truly hope that you NEVER give up! That sister that you rap to deeply about is surely smiling down on you. You have passion! Not gimmicks…Not many people can say that, I’m a fan. For Life! Your Comments a rapper with an eduction and a degree, now that’s someone they should know, not Drake! Keep doing your thang KEEPING SNOOK ALIVE!!!!!!!! MAV is destined for big things, keep hustling! Special thanks to Chris for taking time out of his life to notice me and help push me to the top! Thanks to my PEOPLE that ALWAYS show support. I GET THAT LOVE BECUZ I GIVE THAT LOVE! BELIEVE THAT!!! Your Comments I Love The Official Mav And I Will Support Him 100 Percent. I Also Love His Song Be Hopful. Because Its A Powerful And Touching Song.. So Keep Doing Your Thing. Mav is one artist that has inspired me, and also has captured my heart with the love and passion that he has for music.He is a very hard worker, and he pushes his self to limit. Move love and respect. Keep up the good work you are very talented, love your work. This is great that so many of you are as passionate as he is. We will continue to support MAV as his career grows thanks to his vision and determination!